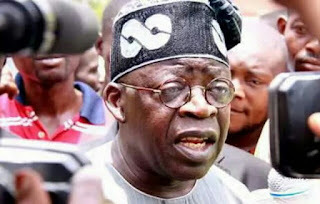 National leader of the All Progressives Congress, APC, Asiwaju Bola Tinubu, on Thursday opened up on why he did not attend yesterday’s national caucus meeting of the APC presided over by President Muhammadu Buhari at the new Banquet Hall of the Presidential Villa, Abuja. Stating that his failure to be at the Presidential Villa for the APC caucus meeting is not worth any fuss, he explained that some young Nigerians, ahead of his birthday, organized an event in Lagos on Monday where they expressed their impression of him as a leader and motivator, hence the need for him to honour them with his presence. When asked why his principal would sacrifice APC caucus meeting for an event put together in celebration of his birthday, Rahman said, “I did not tell you these young ones came to visit him. They organized a programme in celebration of his birthday. I think was only fit and proper that he honoured them (with his presence) the way they honoured him too. You needed to be there. He was the celebrant and everything was around him too.